2018 was Shell’s 25th anniversary in India since our re-entry into the country in 1993. Our links with India go back much further – to 1928. 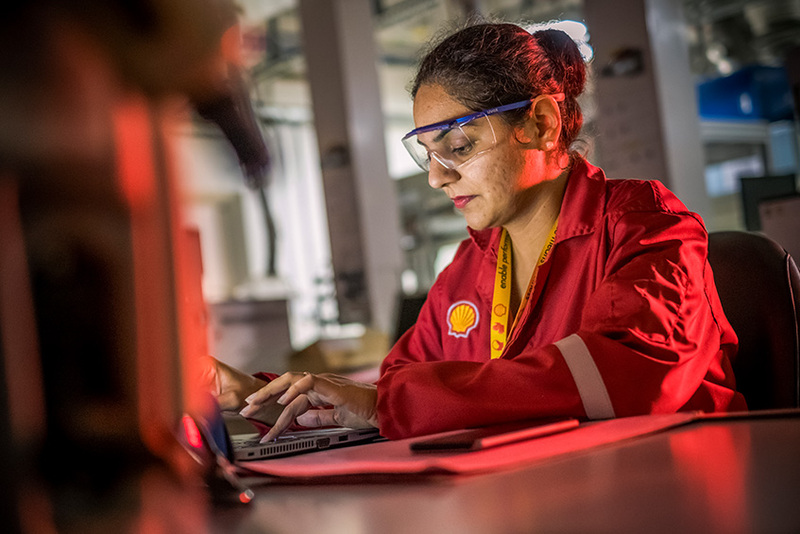 Today, Shell sees India as an important growth market, as a hub for innovation and a source of world-class talent. We are working with our partners to deliver more and cleaner energy solutions – in a way that integrates environmental and social considerations – as India’s population grows and living standards rise. We plan to significantly expand in the country by offering customers a range of more energy-efficient, lower emission fuels and lubricants, natural gas and renewable energy for power generation and biofuels. The country has a series of goals for both changing the kinds of energy it uses and increasing energy access to rural communities. For instance, the government has set several targets, including increasing the share of natural gas in the primary energy mix from 6.5% today to 15% in 2030. 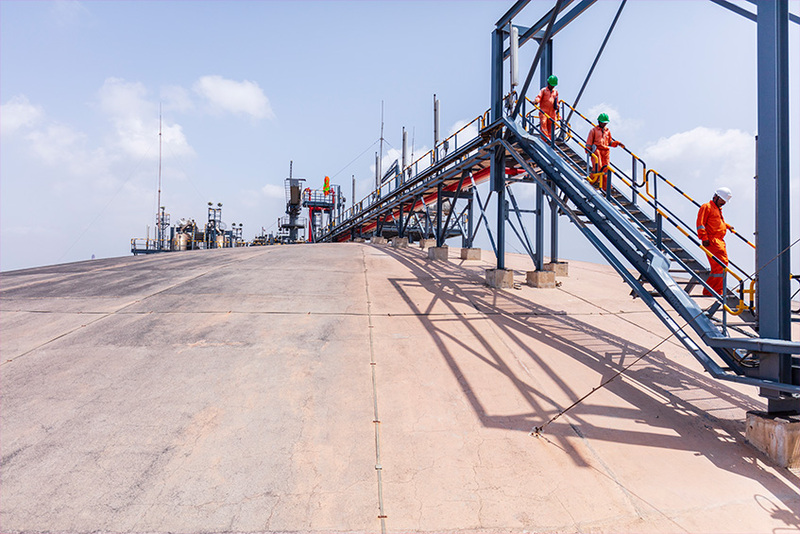 The Hazira LNG port and terminal in Gujarat – which Shell Gas B.V. acquired in early 2019 – is one of the largest ever international investments in India’s energy sector. Plans are also under way to expand the number of Shell retail sites in India. 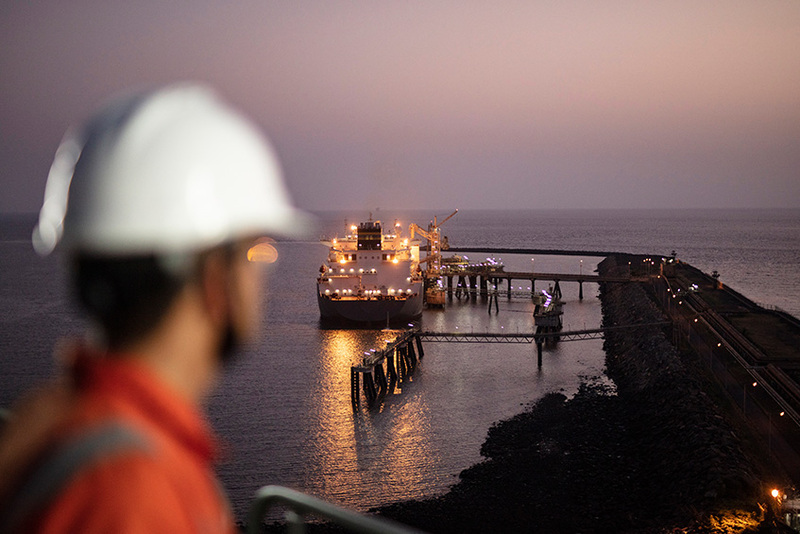 A ship delivers a cargo of liquefied natural gas to the Hazira regasification facility. A natural gas tank at the Hazira facility. The Shell Technology Centre in Bangalore is one of Shell’s three major innovation hubs, alongside similar centres in Amsterdam, the Netherlands and Houston, USA. 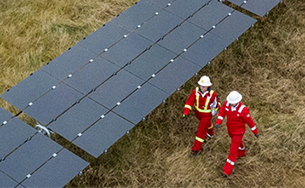 The centre conducts research into bitumen, subsurface modelling, enhanced computational research, chemicals and advanced catalysts. Scientists and engineers also work on international projects, including many aspects of our Prelude floating liquefied natural gas facility. The engineering team also developed computer modelling to help us understand how the Malikai platform in Malaysia would perform in the fast-flowing currents of the South China Sea – helping to keep workers safe. The technology centre conducts vital research into lower-carbon biofuels. 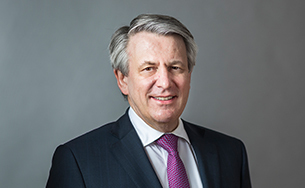 Shell is keen to invest in developing and deploying technologies like IH2, which converts biomass – wood, agricultural residues or algae, for example – into fuel that significantly reduces greenhouse gas emissions. We have opened a demonstration plant in Bangalore that can process up to five tonnes of feedstock a day – a big step towards scaling up IH2 technology for commercial use. We recently invested in Husk Power Systems, a leading mini-grid company operating in India, that uses solar and biomass to provide reliable and affordable electricity to some of the several million people in India without it. We also acquired a 49% interest in Cleantech Solar, which provides solar power to commercial and industrial customers across South East Asia and India. We also encourage the deployment of innovative energy solutions at our own facilities. At our technology centre in Bangalore, we aim to achieve a net-zero emissions footprint. For instance, we have set up a contract to purchase solar electricity from an offsite developer, delivered through the grid for use in our technology centre. This programme is being rolled out across other Shell India sites as well. 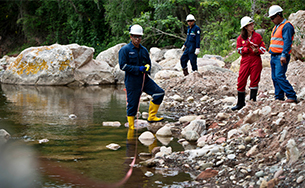 Around the world, we work with local partners to help us understand and address the needs of the communities where we operate. In India, we are involved in several local community initiatives, including promoting science, technology, engineering and maths (STEM) education and improving road safety, as well as integrating social investment into our core business. In 2018, we launched NXplorers, a programme to encourage young innovative minds to pursue STEM education and strengthen India’s intellectual capital. The programme was rolled out across four states in India in 2018 and aims to reach 3,000 schools and 260,000 students by 2020. We also worked with the Transport Ministry on a road safety awareness campaign to influence young adults through social media. We have reached more than 6 million millennials across the 10 most accident-prone cities in the country. Exposure to smoke from traditional cookstoves and open fires causes around 783,000 deaths in India each year, according to the Clean Cooking Alliance. We are working together with the Alliance to provide access to and generate demand for clean cooking solutions, including launching a campaign to educate rural populations about the potential health benefits. In 2018, Shell commissioned a pre-production prototype of the world’s first flat-pack truck, the OX. We are showcasing this truck in India, including how it can bring low-cost all-terrain mobility to rural communities. Limited mobility in hard-to-reach communities in developing economies can restrict access to basic services. The OX truck has the potential to broaden access to transport possibilities with many resulting benefits. Read more at www.shell.in/ox. As a part of its business activities, Shell India Lubricants has provided health camps for more than 30,000 truck drivers and mechanics, while the retail team has supported hiring people with disabilities at Shell retail sites. Shell India also has numerous other community outreach programmes through its service centres and joint ventures, and has recently launched an employee volunteer programme.